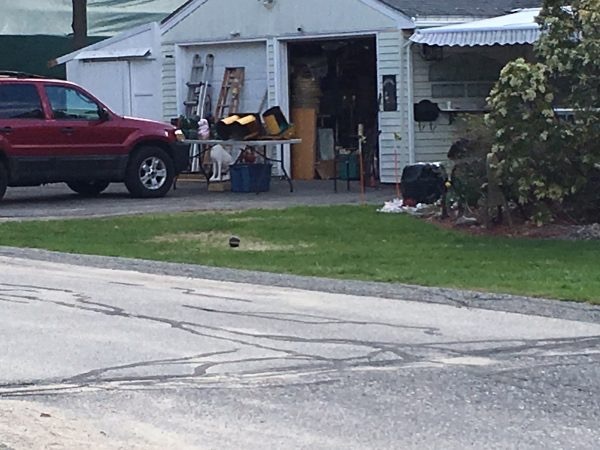 HULL — Chief John Dunn reports that the Hull Police Department requested the assistance of the Massachusetts State Police Bomb Squad today after a homeowner found a 19th century cannonball in a box of antiques. Police responded to a home on Nantasket Avenue near the town line at 9:10 a.m. Upon arrival, officers were greeted by a round cannonball that had been placed the front lawn of the home. The homeowner was doing some spring cleaning and reported to police that he had purchased a box of antiques approximately one year ago. He was going through the contents of the box, and found the cannonball, which appeared to have an in tact fuse attached. He placed the cannonball on the lawn and called police. The Bomb Squad was requested, and technicians removed the cannonball and performed a safe, controlled detonation at the town landfill. Based on the results of the detonation, it is believed that the cannonball was live ordinance and contained explosives.